New iPhone 5 Arriving in June? 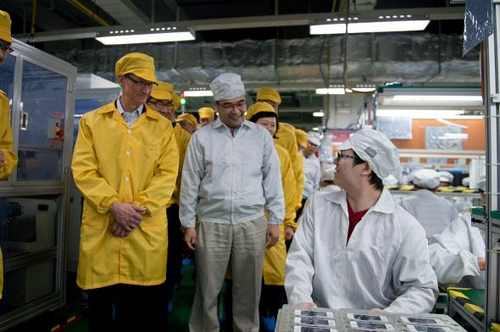 Apple’s long-awaited iPhone 5 will be released in June of this year according to a recruiter at Apple’s main manufacturing partner, Foxconn. The rumor comes from a Japanese business broadcast on TV Tokyo and aligns with previous speculation that the iPhone 5 would be unveiled in June at the WWDC conference. The Foxconn recruitment officer stated that the company was looking to hire an additional 18,000 employees “for the fifth generation phone”. It’s unclear at this stage how reliable this rumor is, given how notoriously tight-lipped Apple is about the release dates of upcoming products. A June launch also conflicts with information from recent reports which point towards an October release. Little is known about the iPhone 5, with rumors thus far suggesting 4G LTE connectivity, a longer and wider body as well as a 4.6 inch retina display.